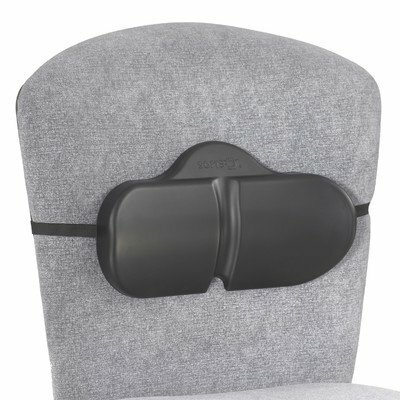 7150BL (carton) Features: -Lumbar roll backrest supports the lower back and spine. -Arms Included: No. -Elastic strap fits any chair. -Non-abrasive, anti-static and washable. -Finish: Black. -Distressed: No. Product Type: -Back Supports. Dimensions: Overall Height - Top to Bottom: -8". Overall Width - Side to Side: -13.125". Overall Depth - Front to Back: -2.5". Overall Product Weight: -2 lbs. If you have any questions about this product by Safco Products Company, contact us by completing and submitting the form below. If you are looking for a specif part number, please include it with your message.